State-of-the-Art platforms offered by PABX DUBAI include a comprehensive line of VoIP/SIP, Digital Hybrid, and Analog Telephone System solutions from leading manufacturers including NEC, Avaya, Polycom, Yeastar Mypbx,Panasonic ,Dlink ,Zycoo & Yealink. From the initial consultative meeting with your PABX DUBAI representative, and throughout the professional installations and training phases of your project, the team is ready to help your organization realize the efficiency, cost savings, and communications advantages that today’s next generation telephone platforms provide. Option of Week Day, Evening or Weekend Installation. Regular Progress Updates and Dedicated Account Management. 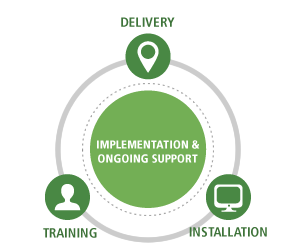 The Option of Ongoing Maintenance and Support. we are fast becoming one of the largest independent suppliers of Business Telephone Systems . Our team of qualified Telephone Engineers understand your communication needs and will deliver to you a cost effective solution and FREE impartial advice. Pabx Dubai are experts in Telephone System Planning and Installation, Telephone System Expansion and Telephone System Relocation. Where required, we are often able to install or replace a Telephone System with as little as 24 hours notice in instances where a fast turnaround is required. It may be that you have been let down by an existing supplier or your existing system has become faulty. In either instance you can rely on Pabx Dubai to react quickly. PABX DUBAI make choosing the right telephone system easy. We can arrange one of our experienced engineers to visit your premises to discuss your needs, have a general look at your existing setup and make recomendations based on this visit. Our engineers have over 5 years of experience supplying and installing PABX / PBX telephone systems. So you can be rest assured that our recommendations will be honest and that the job will be completed to the highest standard. PABX Dubai designing VoIP Business telephone system solutions for Businesses across the region. For over 5 years, PABX Dubai has helped our customers stay at the cutting edge of telephone technology by providing the latest and most reliable telephony solutions available. With over 3000 systems installed, Pabx Dubai has unparalleled industry experience and a proven track record in helping organizations realize the tremendous advantages that communications technology provides.